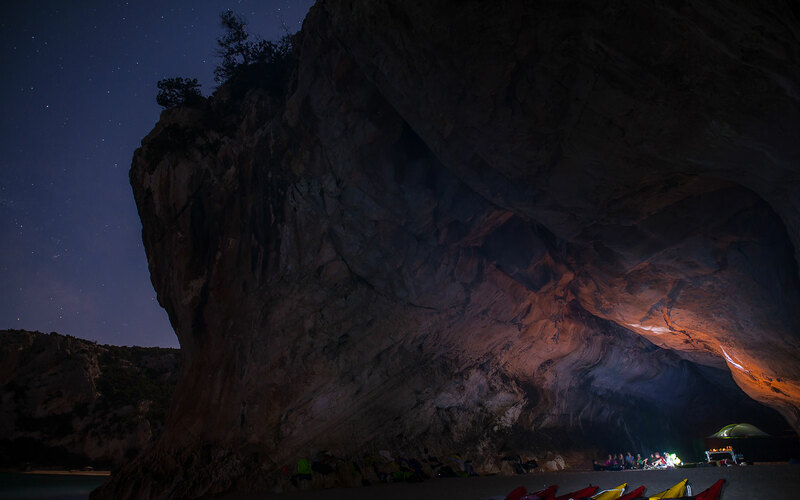 On Sardinia’s cliff-sided eastern coast "Bluezone"
Escape the stresses of everyday life, talk to people around a camp fire and nourish yourself on a long weekend in nature. Want to create unforgettable memories? This unique overnight trip is all about paddling in a stunning sea of Sardinia east coast, swimming in crystal-blue coves, hike along ancient trails known only to generations of shepherds, eating well, going deep in nature. Top it off with a unique night in a tent suspended above the forest floor at the shepherd spot ! 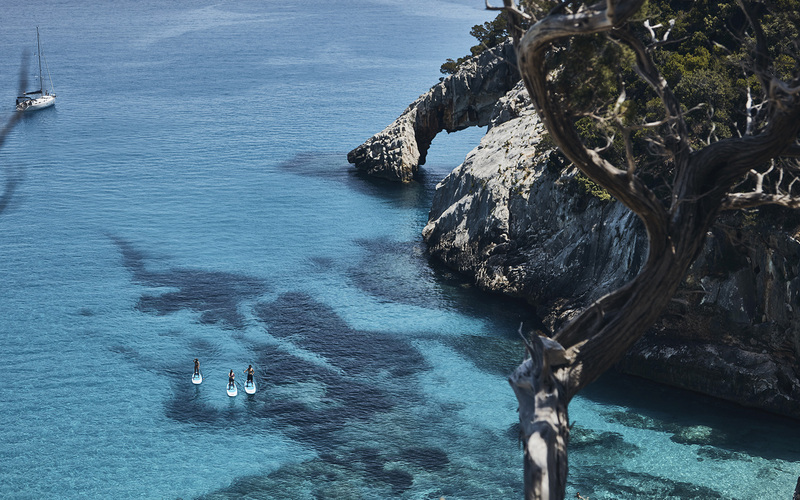 SUP: Guided SUP tour starting from Cala Gonone to Cala Luna beach. Camp in the Air: We will set up together an eco-friendly Tentsile camp. 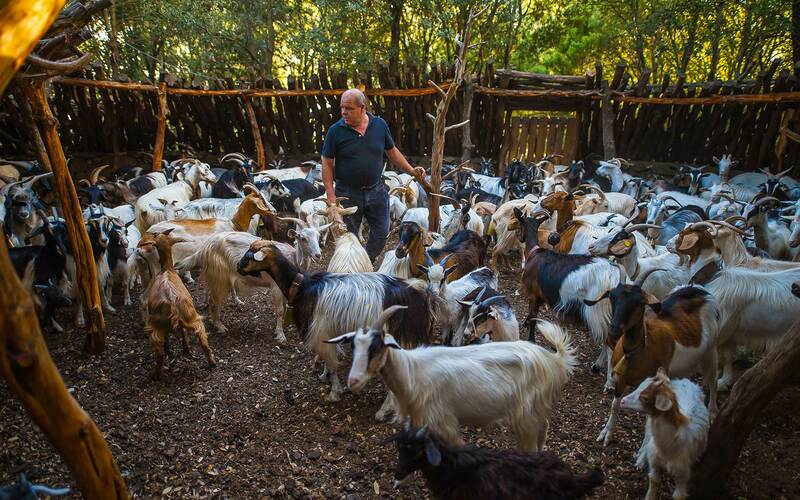 Culture: Experience the warm culture of the Sardinian Shepherds. • a short neoprene suit, if you need one in the spring or September. a short neoprene suit, if you need one in the spring or September. Swimming suits are a MUST during summer time. You can also go in t-shirt, shorts, something comfortable. We will go on SUP board bare foot, but for going around, we advise you taking sea rock shoes with you. We start our Adventure at in front of Prima Sardegna (Viale lungo mare Palmasea, 32, Cala Gonone NU). What is the best way to get to the start location? The nearest airport to Cala Gonone is Olbia, 110km north. 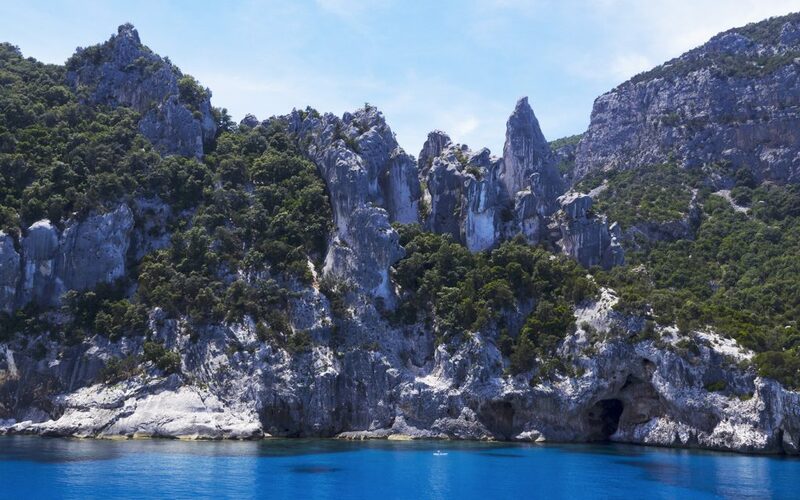 Sardinia’s other two international airports, Alghero and Cagliari, are only a little bit further to drive with your own transport. Pick up from Airport with extra charge. What is Tentsile tree tent? The specialty of this trip is an overnight stay in the Tentsile tree tent. Tentsile is a new way to spend time and sleep in nature. It´s a kind of portable tree house that can be built quickly without leaving a trace. It keeps you insanely comfortable anywhere – rocky, uneven, or wet ground is no match to these tree tents. It’s like sleeping on a cloud, awakening a childlike feeling of wonder. We will be catching the best moments with Go pro camera and share them with you after the tour. Who is SUP&Hike tour for? 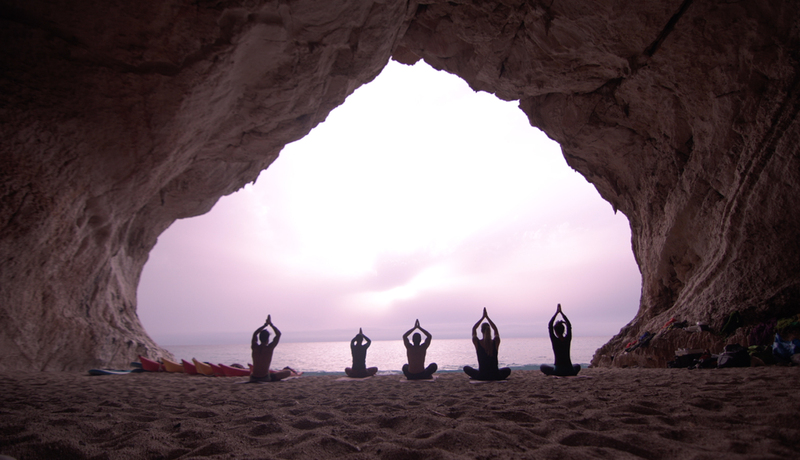 Active SUP&Hike tours are suitable for anyone who have a basic level of fitness. Every Stand Up Paddleboarding tour starts with SUP basics – quick introduction to the activity by ISA certified SUP instructor. Our offers are generally suitable for people who are fit, do sport regularly and feel a call to adventure – with no age limits. Our offers are also suitable for those looking for naturalist tourism, or trips and exploration in close contact with nature. 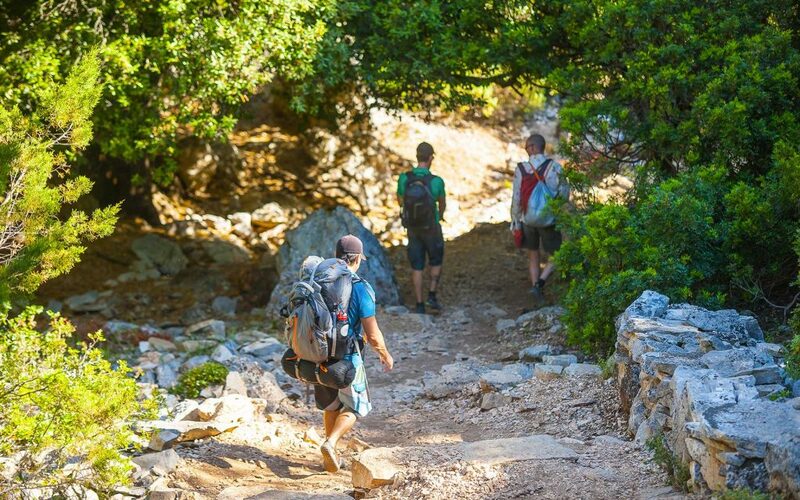 To participate in the activities NuAdventure recommend that you have an appropriate insurance policy covering, during the planned sporting activities for the Third Party Liability (RCT), for medical expenses and for emergency relief. If you have not already activated your insurance, we recommend the Multisport policy 24hAssistance or WorldNomads. Fabrizio & Lohene, we are a new generation of movers, who combine adventure sports and a passion for nature, well-being and fitness. 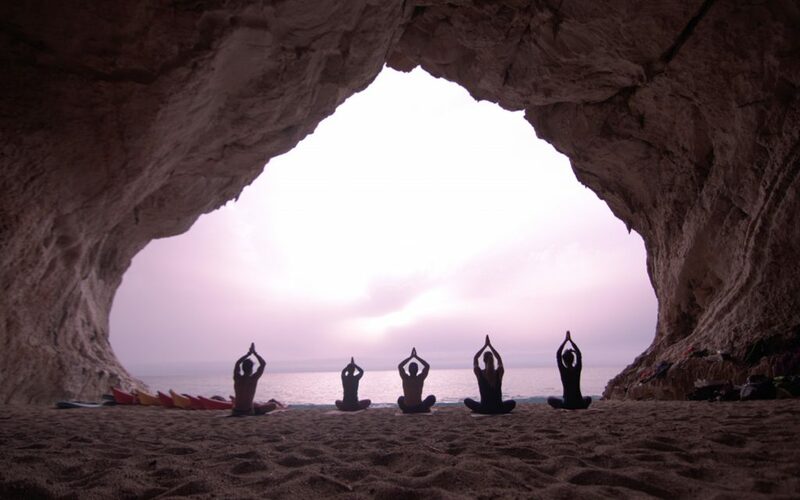 NuAdventure is how we spreads our love for adventure and self discovery in Sardinia. We consider every element of adventure, searching for experiences that are epic, authentic, eco and socially responsible.